It is the age of IoT (the Internet of Things). More and more IoT devices are being launched, which on the face of it should be a good thing but think again. The rise of IoT means there are millions of unsecured routers, webcams, IP cameras, baby monitors, etc., out there ready and waiting for a botnet to come along and cause mayhem. This problem will get bigger as smart connected devices become commonplace. The good news is that security vendors have recognised the need for smart device protection. However, many of these products are reworked versions of existing security suites that are designed to protect computers so not particularly useful. “[Recently,] personal security company BullGuard announced it had acquired Israel’s Dojo-Labs, [which] has been working on a product that provides security across devices to the Smart and connected home. Some have called this SoT, the Security of Things, the logical next step in the development of IoT; the much better-known Internet of Things. This security platform uses artificial intelligence and machine learning to provide the most cutting-edge IoT security available today. It’s also incredibly simple to use. It is hoped that technologies like this will help redress the balance and provide the much-needed protection that smart device users need as the IoT revolution rolls forward. Cyber attacks are getting more sophisticated. Hardly a month goes by without another report such as the one that recently hit the NHS. 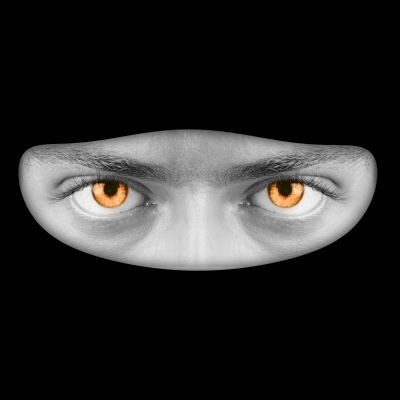 Companies are being warned to be more and more vigilant as the cyber criminals find new ways of infecting their increasingly connected worlds. To look at this further and identify the potential weak spots that could be targeted in 2017 and beyond, Panda Security has ranked the most popular attacks of the year and analysed their evolution. Cybercriminals focus their efforts on those attacks which can rake in the most profit, using more effective tactics and professionalising their operations in a way that allows them to make quick and easy money in an efficient manner. This Trojan Horse will take centre stage with regard to cybersecurity and will cannibalise other more traditional attacks that are based on data theft. The pursuit of profit is the primary motivation of cybercriminals, and ransomware is the simplest and most effective way to achieve this. Some things never change: victims of this hijacking malware will have to decide whether to pay, or not, to recover their data. Of course, paying the ransom does not guarantee the total recovery of stolen data. The number of attacks directed at corporations will increase, as these attacks become more and more advanced. Companies are already the prime target of cybercriminals, as their information is more valuable than that of private users. The next cybersecurity nightmare. The technological revolution has ushered in the complete integration of smaller devices into the grid, which can be converted into entryways into corporate networks. The final months of 2016 witnessed the most powerful DDoS (Distributed Denial of Service) attacks in history. These attacks were carried out by bot networks that relied on thousands of affected IoT devices (IP cameras, routers, etc.). 2017 will see an increase in this kind of attack, which is typically used to blackmail companies or to harm their business (by blocking web access, online shopping, etc.). Focusing on one single OS makes it easier for cybercriminals to fix a target with maximal dissemination and profitability. Android users will get the worst of it in the next 12 months. The precarious situation with regard to international relations can have huge — and serious — consequences in the field of cybersecurity. Governments will want access to still more information (at a time when encryption is becoming more popular), and intelligence agencies will become still more interested in obtaining information that could benefit industry in their countries. A global situation of this kind could hamper data sharing initiatives in the next year. Botnets are everywhere, or at least that’s how it appears. Barely a month goes by without news of yet another malware attack. In this post, we want to look at one in particular – the Mirai malware. This little blighter is causing mayhem at the moment. It is so effective and prevalent; this malicious program is infecting a number of internet-connected devices that come under the IoT (Internet of Things) umbrella. Mirai’s goal is simple: to collect and control enough IoT devices to perform DDoS (Distributed Denial of Service) attacks. The problem is, defeating the Mirai malware is proving difficult. It forces infected devices to disclose default Wi-Fi passwords and Service Set Identifier (SSID) codes. This means cyber criminals could both re-infect routers and devices and use an infected device’s SSID for targeted cyber attacks. It highlights how default passwords are enabling cybercriminals to infect and recruit connected devices for illicit, and disruptive, means. Most recently, a modified version of Mirai managed to infect about 100,000 TalkTalk customers in the UK, and 900,000 Deutsche Telekom customers in Germany. A BBC report said that many of these infected devices might have given up their default passwords to the attacker. Much of the success of Mirai comes down to its publicly available source code, allowing any cyber criminal to create their version of the malware. This is just another example of why it’s so important to change default passwords on routers and other IoT devices. Internets of Things (IoT) devices are becoming increasingly commonplace and yet many are widely acknowledged to be insecure. If that’s the case, why isn’t anything being done about it? If that’s the case why aren’t manufacturers doing anything about it? The reason why they aren’t taking these ostensibly simple steps is that it would mean having to adopt new business models, which would incur additional costs. Most operate on low margins and need to sell lots of devices to be profitable and to adopt the points outlined above would require a lot of investment. Above all, it’s seen as an industry issue rather than a government one. All of this paints a pretty bleak picture, so what can be done? Change will come down to one thing: large technology companies and organisations coming together to create a working body and set down security standards for IoT devices. The result will be the adoption of standards, with those companies refusing to comply losing market share. Of course, all of this will take time. Is there anything you can do now? If you don’t want to wait for the manufacturers to take action, there is something you can do. Despite the widespread vulnerabilities of IoT devices, BullGuard is offering consumers the option of protecting their smart devices and home networks with innovative protection. All internet traffic on the home network is routed via Dojo, allowing it to secure the home network against cyber-attacks and protect the user from privacy breaches. Dojo discovers devices connected to the network, secures them and constantly analyses their network activity. A cloud platform is constantly updated with this behavioural information and with cyber security- related knowledge. When malicious activity or privacy breach is detected, Dojo notifies its owner through a mobile app, and in most cases automatically emits mitigates the risk. The Dojo pebble also provides simple colour -based safety indication using green, orange, and red lights. IoT devices are here to stay and will continue to dominate our lives. With growing fears about security, BullGuard’s solution will offer you peace of mind. Cyber security continues to be a hot topic, and 2017 is unlikely to be any different. Panda Security has done an interesting piece of work. They have looked at the most popular cyber attacks of last year and analysed their evolution to see what could be in store in 2017. Cyber criminals are interested in one thing – finding the attacks that rake in the most profit and exploiting them to the max. Their increasingly effective tactics and professionalisation of their operations is what is allowing them to make quick and easy money in an efficient manner. As mentioned, profit is the driving force behind cyber crime, which is why ransomware is a firm favourite. It is the simplest and most efficient way to achieve this. Victims of this hijacking malware face a decision; should they pay or not, to recover their data. Of course, it’s important to bear in mind that paying the ransom does not guarantee the total recovery of stolen data. Attacks on large corporations are set to increase. The information stored by businesses is far more valuable to cyber criminals than that of private users, so it’s vital that companies remain vigilant. Greater connectivity is a Godsend for cyber criminals. This technological revolution has led to the complete integration of smaller devices into the grid, which are converted into entryways into corporate networks. At the end of 2016, we saw the most powerful DDoS (Distributed Denial of Service) attacks in history. Carried out by bot networks, they relied on thousands of affected IoT devices (IP cameras, routers, etc.). This type of attack is likely to increase in 2017, which is typically used to blackmail companies or to harm their business (by blocking web access, online shopping, etc.). The precarious situation about international relations can have enormous consequences in the field of cyber security. Governments will want access to more information (at a time when encryption is becoming more popular), and intelligence agencies will become more interested in obtaining information that could benefit industry in their countries. A global situation of this kind could hamper data sharing initiatives in the next year. If you think this paints a bleak future, you could be right, but only if you fail to take precautions to protect your data. To put your mind at ease, get in touch, and we’ll talk you through your options to make sure you have a trouble free future. Last week we looked at the Internet of Things and how it’s changing our lives, both at home and in our cars. Now, we’ll take a look at how IoT will impact the buildings in which we work and the wider environment. When it comes to buildings, much of the IoT technology focuses on energy conservation such as lights and heating that detect our presence and adjust themselves accordingly. It’s a broad concept that can include many different things from streetlights and traffic signals managed wirelessly to reduce energy costs, to sensors that monitor water mains for leaks to reduce repair costs. It can also be used to turbocharge marketing by tailoring each urban advert to each citizen. Plus, advertising will provide services where people are able to buy, for example, concert tickets via an electronic ad billboard. Bullguard‘s article goes on to issue a warning. Many smart devices have fundamental security flaws. For instance, in healthcare patient monitoring systems that enable continuous tracking can be hacked providing a route into hospital networks. There are many examples of smart connected cars being hacked leading to the recall of a huge number of vehicles while botnets based largely on hacked webcams have recently been discovered. And analysis of data from BullGuard’s free IOT scanner reveals that in the UK alone, millions of households are potentially vulnerable to hacking. IoT is a new wave of technology that promises to silently revolutionise ways in which we live our lives much like the web and smartphones have done. But if its potential is to be realised, IoT technology must be sufficiently developed to enable safe interconnectivity. Currently, this is not the case. The reality is that in the commercial rush to market security has not been a priority for IoT device manufacturers. Furthermore, there is currently no consensus on how to implement security in IoT on the device which leads to patchwork approach to security. Some devices may have easy to crack default passwords, many do, while others may send unencrypted data to other devices. IoT devices often don’t have enough physical resources to deal with powerful security features and manufacturers don’t care because there’s nobody that can sanction them. There are no official guidelines to follow, users aren’t educated, and there’s too much diversity to fix IoT security overnight. Not many manufacturers will tell you- but it’s a real problem. As you can see IoT is fraught with problems. If tackled correctly it should revolutionise our lives, but it’s essential that our security isn’t compromised just for the sake of new technology. Things are changing. The Internet of Things is here. It wasn’t that long ago that smartphones, the Internet and social media all seemed very futuristic. Now, it’s hard to imagine life without them. With that in mind, the arrival of connected devices and the Internet of Things (IoT) shouldn’t seem so far fetched. A recent article published by BullGuard takes a candid look at what the IoT means to our lives and how it will manifest itself in the future. This post will take a look at its impact on the home and travel; next week we’ll look at its impact on a larger scale and the potential issues surrounding it. 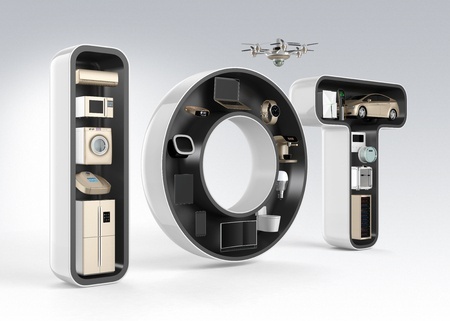 IoT is already taking shape with billions of smart devices becoming part of the globally connected network thanks to embedded connectivity in consumer electronic devices, home appliances and cars. But this is only the first tranche; predictions vary, but there seems to be a consensus that by 2020 there will be in the region of 20 billion connected devices in place, ranging from home electronics to vehicles, industrial machines, infrastructure such as water and power, and wearables. Let’s take a look at how IoT is predicted to play out practically across a range of common areas. But first keep in mind that a lot of these IoT devices have already moved from the drawing board into production, and it’s just a matter of time before they become mainstream. The home is going to be one of the most visible areas where we will see embedded IoT. Autonomous self-driving cars are already on their way, although it’s early days. But we already have ‘driver assistance’ technologies that can improve or take over the actual performance of the car, such as systems that automatically park a car in tight spots, autonomously steer the car, brake for obstructions, and speed up and slow-down in traffic jams. That all sounds quite scary, so a raft of safety technologies will be incorporated including external danger warnings for drivers such as severe weather and hazardous road conditions ahead. There will also be electronic windshields that automatically adjust to shield the sun’s glare. A prominent feature will be in-car displays that stream messages and news and automatically interrupt when someone calls you, displaying an image of that person. Concierge features will also alert drivers about the time to leave and arrival time. This same feature will send text message alerts to friends or business associates to let them know your arrival time. Reading this as I write, it all sounds so far fetched and yet it will probably all happen within a few years. Our world is changing and we are going to have to adapt and embrace these changes if we are to keep up. Next week, it’s the turn of our buildings and cities as we explore how IoT will affect them.